Recently, a video went viral in which the wife of the former Indian skipper MS Dhoni, Sakshi Dhoni was seen performing a dance in a wedding ceremony. It was a group dance, Sakshi was seen dancing on a Bollywood song. It was the sangeet ceremony of Poorna Patel’s wedding, who is also a close friend of Dhoni’s wife. They both appear together on several occasions, including some of the matches as well. MS and Sakshi returned to India after the recently concluded ODI series against England. And soon after that, he participated in the function of Poorna Patel, who is actually the daughter of former Union Civil Aviation Minister Praful Patel. She tied the knot with industrialist Namit Soni. There were also many celebrities including cricketer Yuvraj Singh and Zaheer Khan. 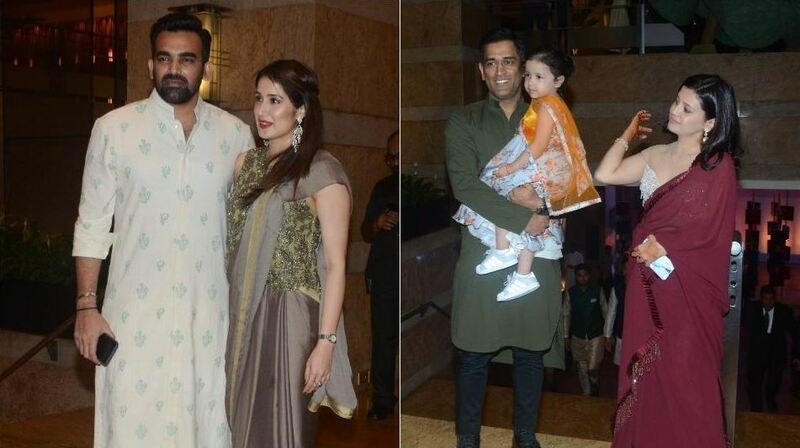 Dhoni was wearing a golden kurta and his wife was also wearing a golden dress. Apart from cricketers, there were several Bollywood celebrities also present at the ceremony. The couple had a grand sangeet ceremony on Friday in Mumbai which saw stars like Salman Khan, Jacqueline Fernandez dance the night away. Salman Khan was also seen shaking his leg during the function. 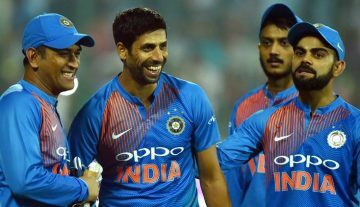 Dhoni is now set to enjoy a long break from cricket as the Indian cricket team engages in the long 5-match Test series with England, starting August 1.